beautiful weather and sunny days. poolside & parties. 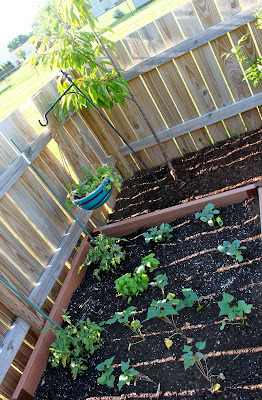 planting gardens full of tomatoes, basil, sweet potatoes, summer squash and cantaloupe. endless weeding & mole hunting (any advise on getting rid of them that doesn't involve chemicals or lawn bombs?). rolling in the grass (well, radley, not me) and bunny sightings. long walks, colorful sunsets and endless days. tiki torches & evening spa dips. barbecues, mosquitos, fresh cut flowers, happy hour and biking. summer's in full swing. what have you been up to lately?